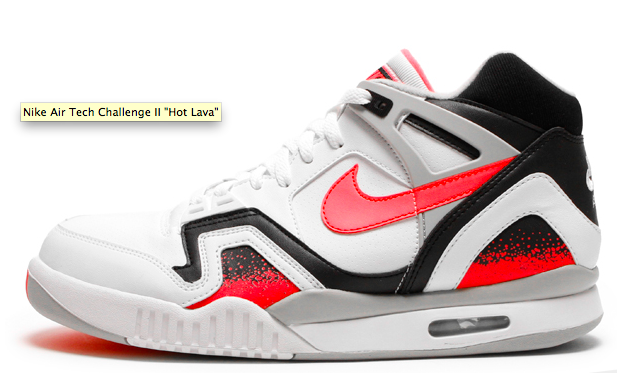 NiceKicks just did a Complex-esque "Top 10 List", and they did it justice - covering Andre Agassi's Top 10 Kicks. 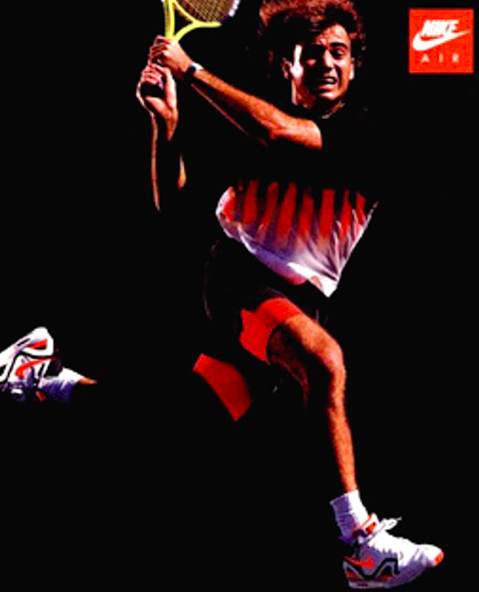 A sneaker secret for many - Andre is widely considered to have the best Nike line outside of a select few (Jordan, Penny, and Kobe), and by far the best game when it comes to Tennis. 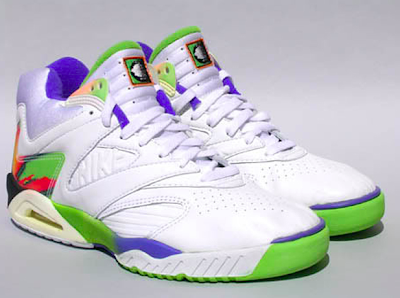 Obviously they showed the Nike Air Tech Challenge II some love (pictured in the vintage Nike ad above), but I'm just stoked they showed love to my favorite model - the Nike Air Tech Chellenge IV. Check some detailed pictures of my favorite two, after the jump (that means the "Read more..." button for you rookies out there). Check out more of Andre's Top 10 kicks over at NiceKicks.